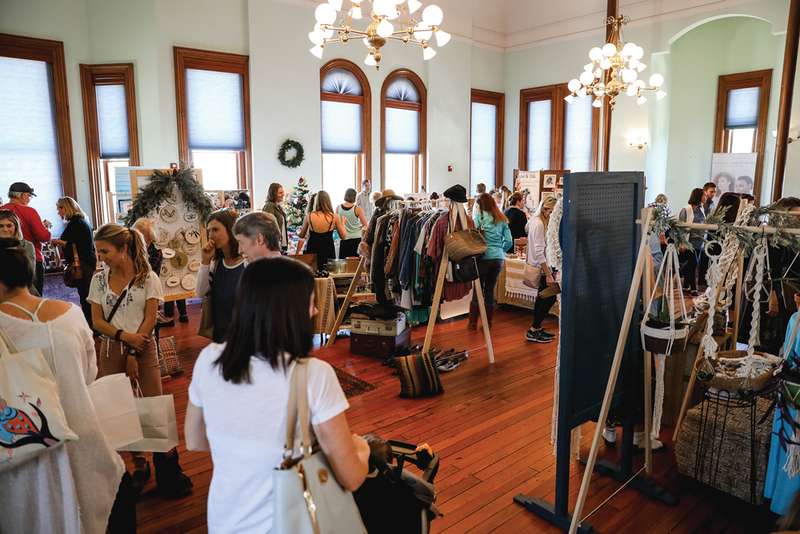 Georgia’s Golden Isles feature a lively and growing community of makers to go along with the sunshine and waves. Don't miss this three-day gathering about craft’s evolving roles and relevance in today’s world. Published on Thursday, July 26, 2018. This article appears in the June/July 2018 issue of American Craft Magazine. Famous for scenic backdrops such as spacious beaches and the postcard-ready St. Simons Lighthouse, the Golden Isles draw visitors from all over. 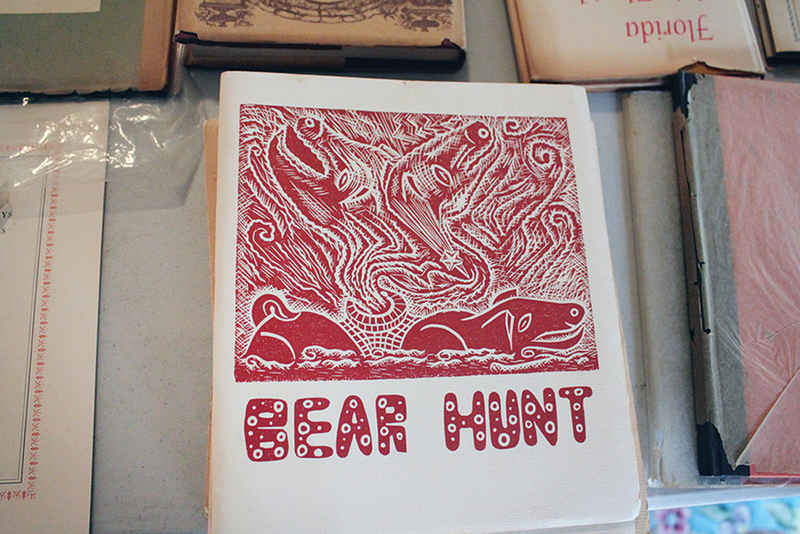 The region also features craft talent visible in everything from town festivals to the handmade napkins at Georgia Sea Grill. 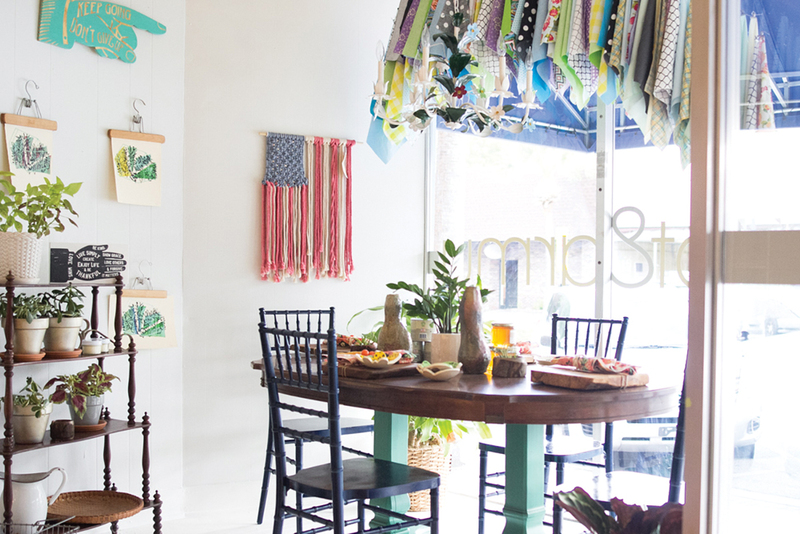 On the first Friday of the month, Newcastle Street – the main drag of downtown Brunswick, Georgia – is filled with life. Residents of this coastal town and locals from nearby islands crowd the streets to the sounds of live music. Shops stay open late, offering wine and hors d'oeuvres to draw customers. Other merchants sell their wares in pop-up shops and at eateries. 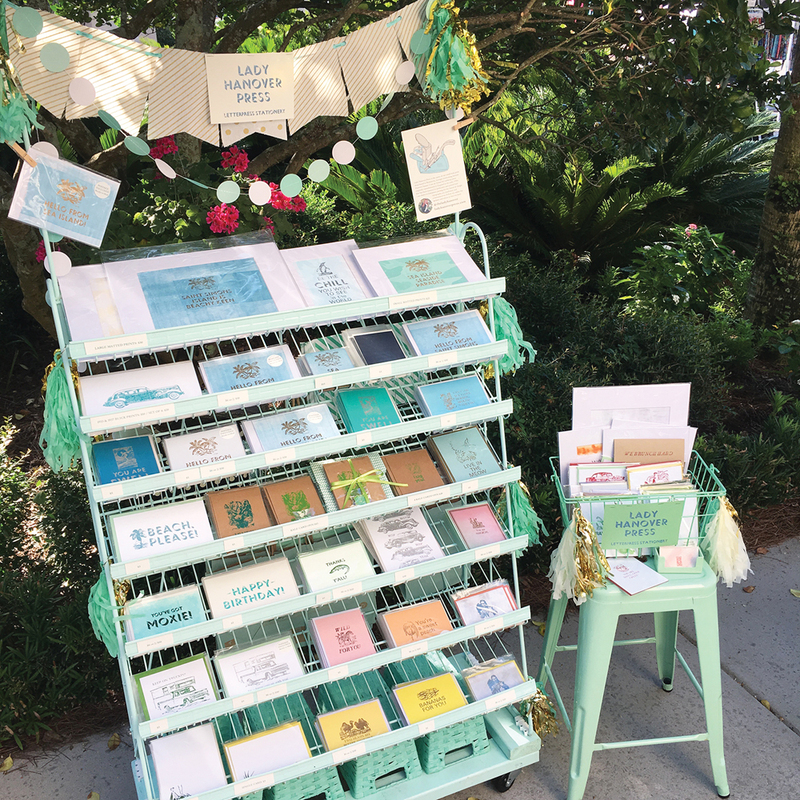 Along the street, letterpress maven Sarah Pittenger, founder of Lady Hanover Press, pushes a mint-green upcycled cart, complete with handmade tassels, to sell her cards and prints. The reasonable cost of living adds to the appeal. Pittenger and her husband found a Victorian house on one of the squares in Brunswick (the downtown is modeled after Savannah’s famous squares) that provided plenty of room for an art studio, something Pittenger had always wanted. The affordability of the area allowed Jennifer Zamudio to open her brick-and-mortar shop Dot and Army after six years of selling her handmade napkins and “un-paper” towels online. 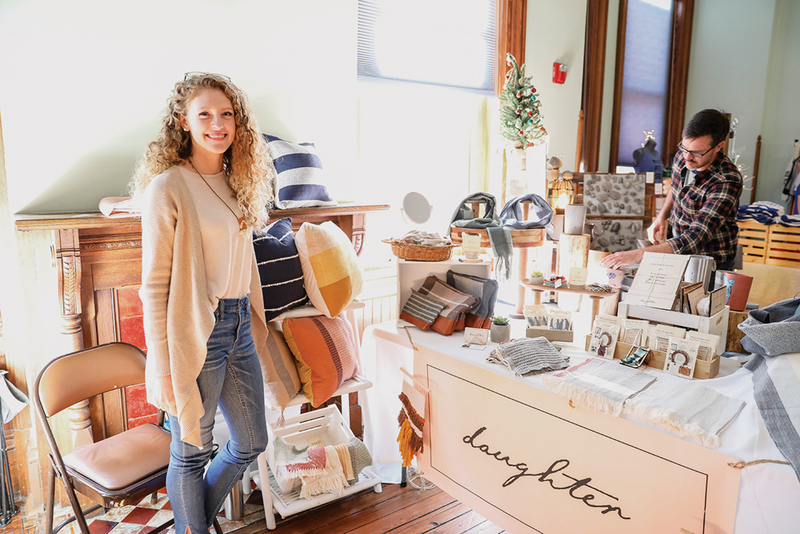 Her business has since expanded to feature various Georgia makers. 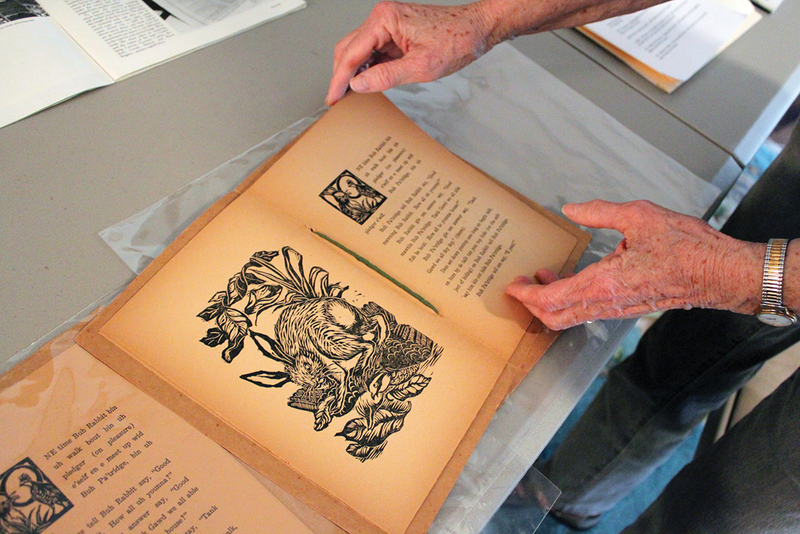 Once the home of environmentalist William Haynes Jr., the Ashantilly Center now hosts classes in letterpress printing and sponsors artist residencies. Georgia Sea Grill, a locally owned restaurant, offers the best in coastal Georgia cuisine; observant diners will spot oyster napkin rings by Dot and Army. 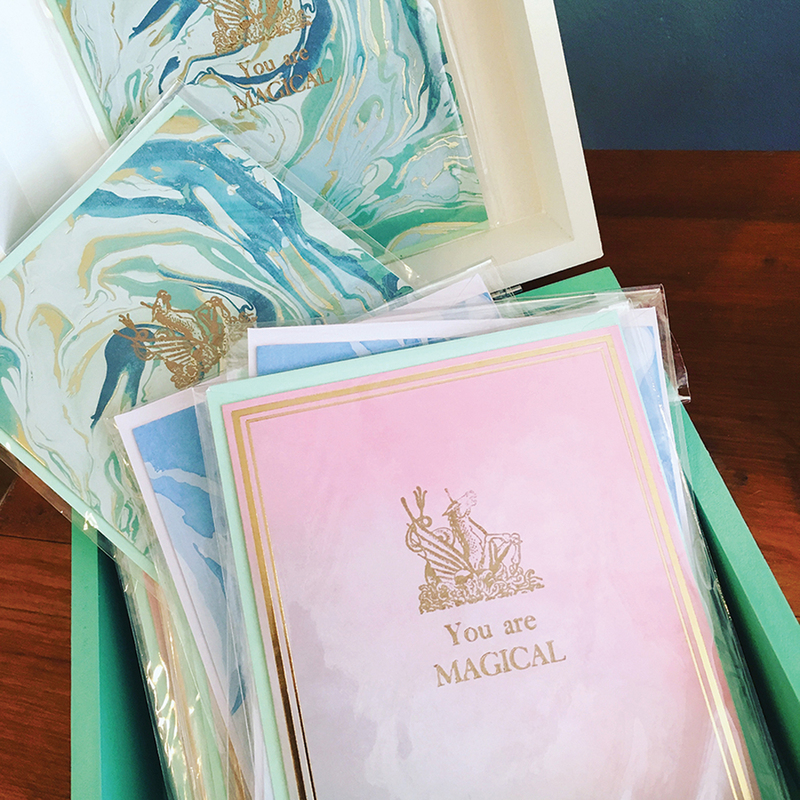 The cards and prints of Lady Hanover Press are available at the store near one of Brunswick’s charming squares, as well as at the push cart on Newcastle Street during First Friday art walks. 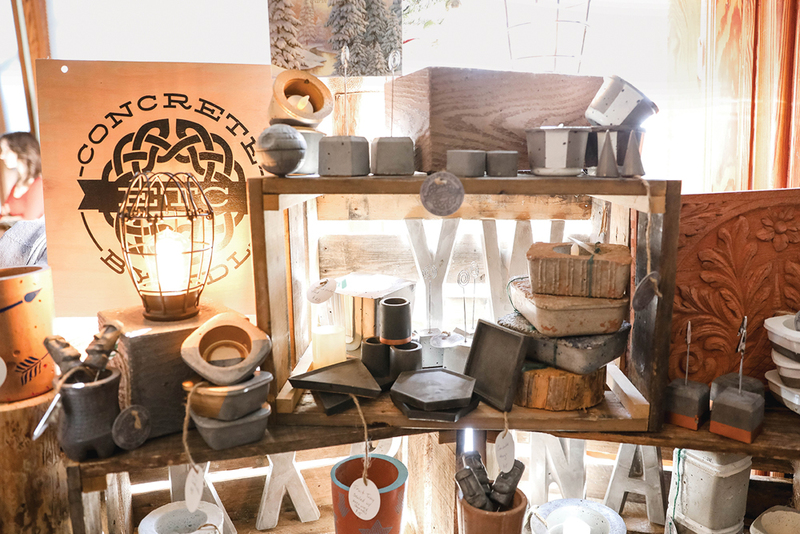 Moxie Craft Fest is held twice a year, providing a chance not only to support local makers but also to strengthen the bonds of community, according to founder Jenny Van’t Land. 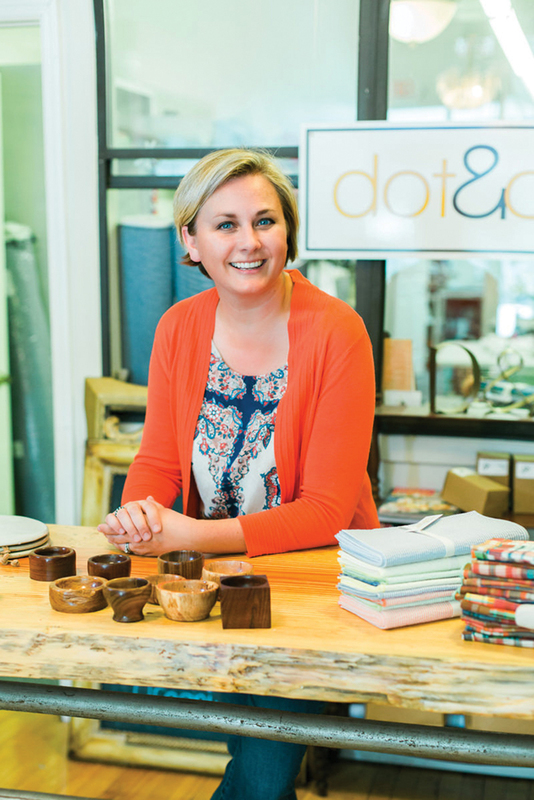 Dot and Army originally opened as a showcase for owner Jennifer Zamudio’s stylish napkins and “un-paper” towels. Now it features work by artists from all over the region. The Golden Isles also have plenty of hands-on opportunities to learn a craft. 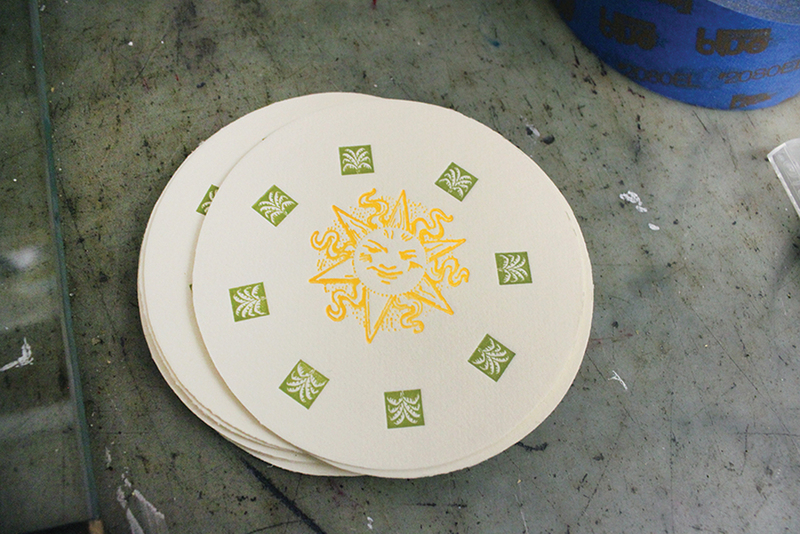 On St. Simons Island, Glynn Visual Arts offers classes in pottery, fiber, jewelry, and glass. 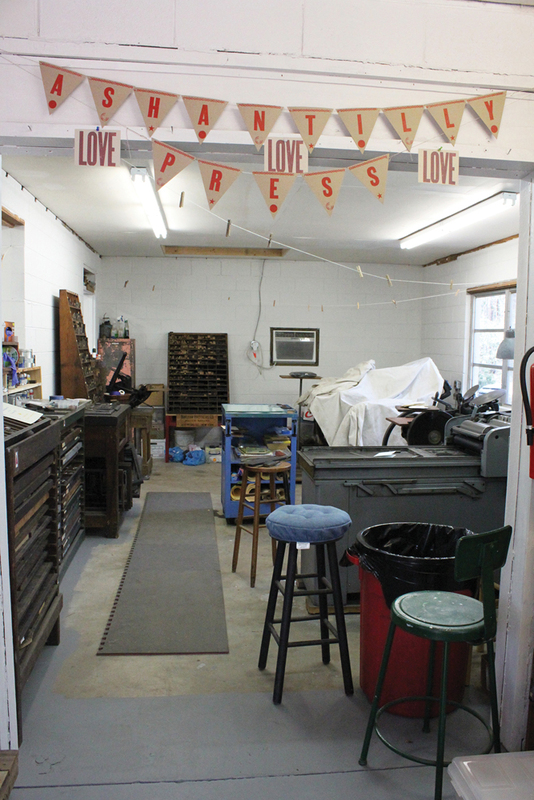 Darien’s Ashantilly Center, the former home of environmentalist William Haynes Jr., features Ashantilly Press, with classes in letterpress printing, which Haynes himself practiced. “We draw people from all over the country,” says project manager Sara Blocker, noting that visitors enjoy the center’s Scotch whisky tastings and annual ice cream-churning contests. 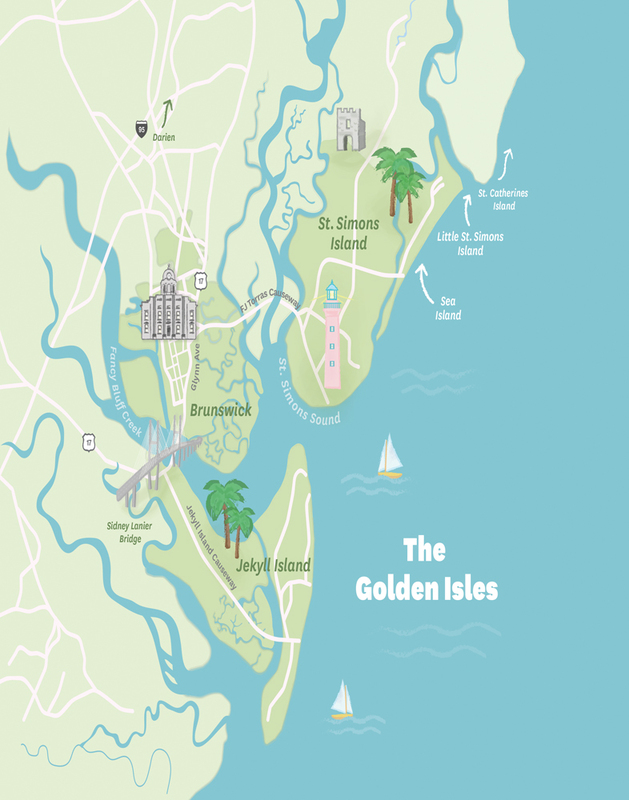 On the western mainland of the Golden Isles lies Brunswick, with Darien to the north. 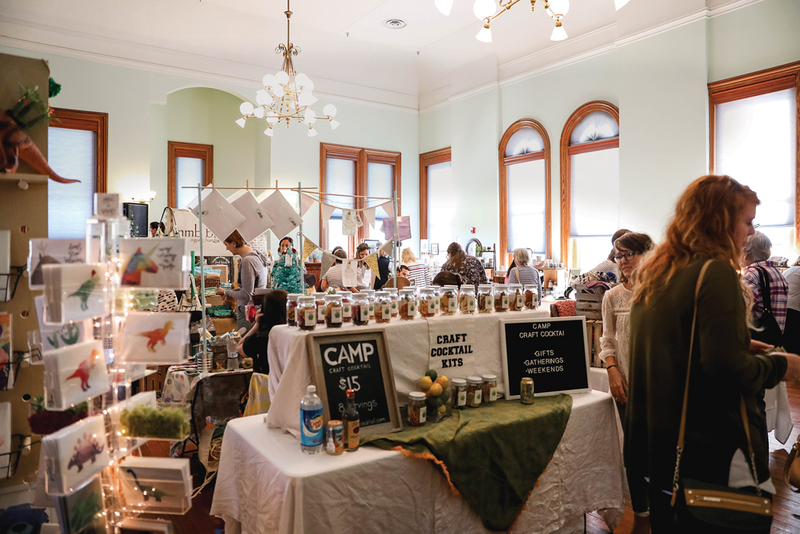 Planning a trip during the Moxie Craft Fest, held in the fall and spring, is a good way to get an overview of the area’s craft scene. Or visit on a First Friday to check out the shops, including Dot and Army, the gallery of art collective Brunswick Stewdio, and the Market on Newcastle, a gift shop that celebrates coastal Georgia. 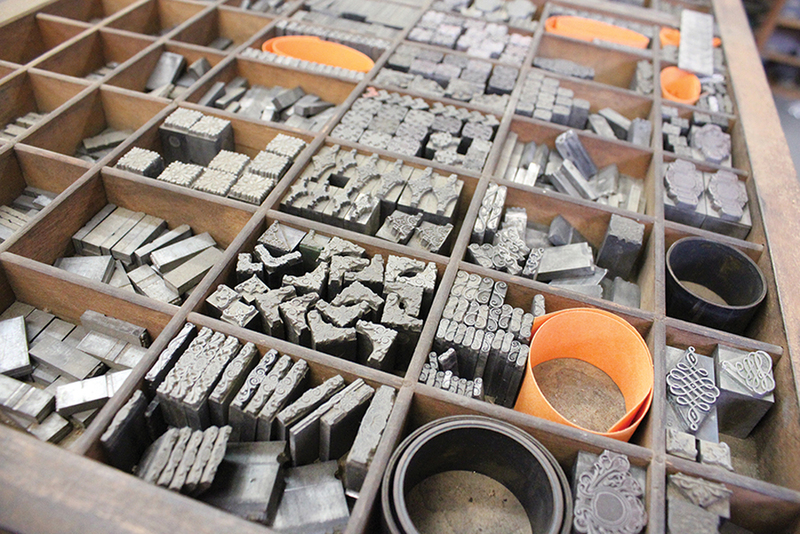 Stop by the Ashantilly Center in Darien, where you can take a letterpress class. The seaside charm of St. Simons Island should not be missed. “Tree Spirits” carved by Keith Jennings appear on trunks and branches, and on the second Saturday of the month, the Market at Sea Island features work by local makers such as ceramist Elizabeth Halderson, cards from Lady Hanover Press, and yoga bags and pouches by Barbara Kindle. (This is not to be confused with the Market on St. Simons Island, sister shop to the Market on Newcastle.) Get in touch with your inner artist at the Glynn Visual Arts Center, which offers classes in a variety of mediums. 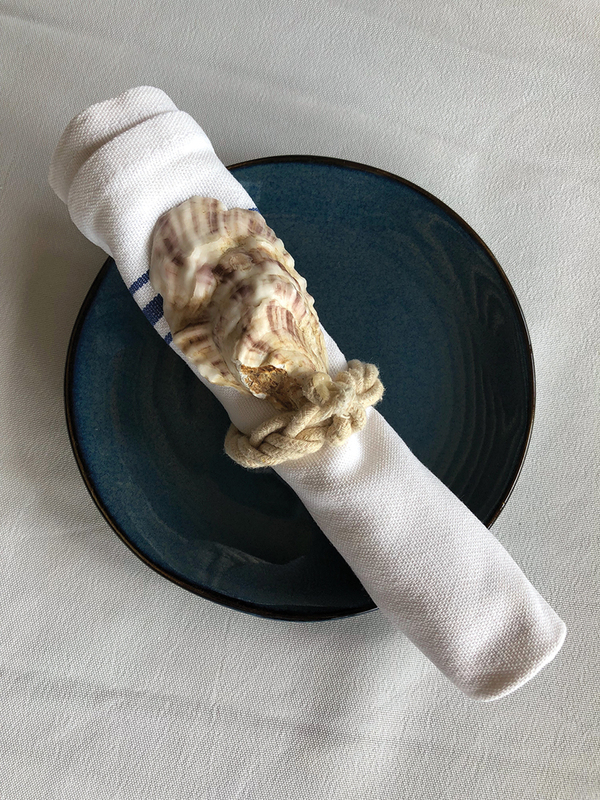 You can’t leave the Golden Isles without sampling the seafood; the elegant Georgia Sea Grill features napkin rings from Dot and Army, and, for special events, Jennifer Zamudio’s handmade napkins. Nature fans will fall in love with Jekyll Island. 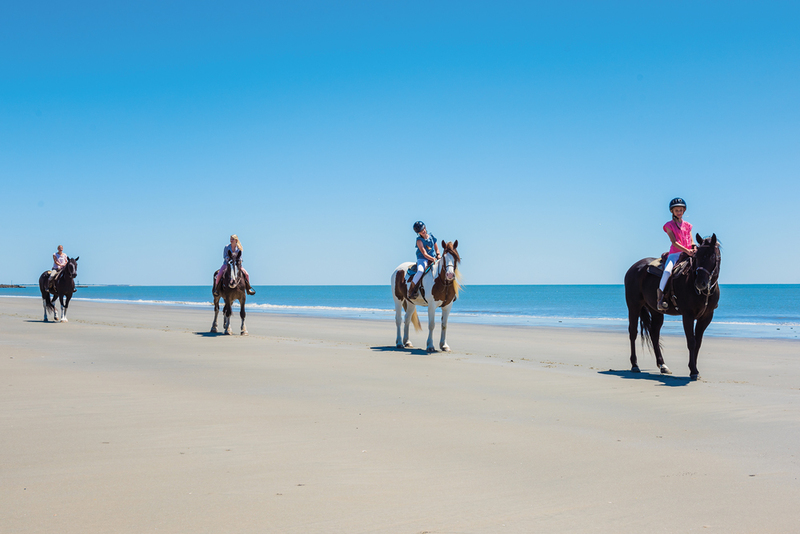 It has more than 20 miles of bike trails, access to both forests and beaches, and the opportunity to ride horses along the shore. For the craft enthusiast, Gypsea Glass is a must-visit, where you can attend a glassblowing demonstration and tour the attached gallery.